To view the Waccamaw Arts & Crafts Guild Newsletter please click here. To view the Wacamaw Arts & Crafts Guild Newsletter please click here. 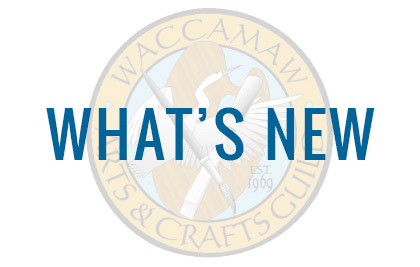 To view the Wacacmaw Arts & Crafts Guild Newsletter please click here.